On a brisk, clear day in late November, a group of Anchor employees gathered at one of California’s many beautiful state parks to help build an outdoor education classroom. 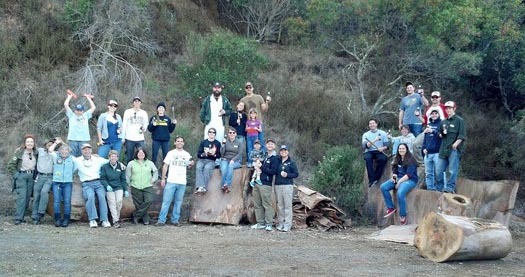 The volunteer event took place at China Camp State Park, located along the shore of San Francisco Bay in Marin County, just north of the City. The day’s tasks included painting a base coat on a decommissioned water tank (where students will soon be painting a mural), assembling a new fence, and stripping bark off of logs that will be converted into a climbing structure. The collaborative effort of the Anchor volunteers and state park staff helped revitalize this part of the park that students and teachers will soon be able to utilize for a multitude of outdoor educational activities. The event was the second volunteer day for Anchor employees in collaboration with the California State Parks Foundation (CSPF). Anchor’s partnership with CSPF was launched in February 2013 with the release of Anchor California Lager®. California’s state parks system, Anchor’s history, and California’s first genuine lager were all born in the second half of the 19th century, and as a tribute to our shared history and traditions, a partnership seemed natural to us. Anchor employee volunteer days in state parks are a result of this partnership. 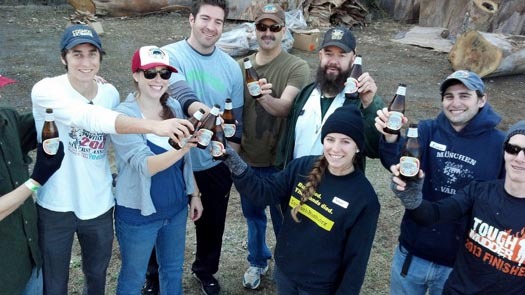 In the case of China Camp, the plan to build an outdoor classroom was developed after Anchor approached CSPF to organize another volunteer day. This led to park staff and volunteers developing plans for the outdoor classroom located in an otherwise un-utilized area of the park. Check out the slide show below for more photos from our day at China Camp State Park. Celebrating a successful day with a well-earned Anchor California Lager!